Please be advised that your current browser is no longer supported. This website may not look or work as intended. To obtain the full Winner's Circle Rewards online experience, please upgrade to a modern web browser. Important Update – As of September 30, 2018, the log in functionality at WinnersCircleRewards.ca will be discontinued due to low demand, and you will no longer be able to access and view your Winner’s Circle Rewards account information online. 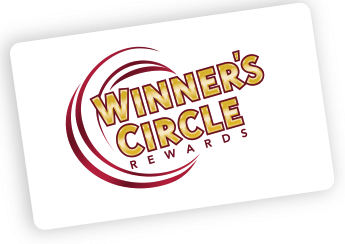 As always, you can continue to get Winner’s Circle Rewards Cashback balance, tier points and membership level updates by visiting the Guest Services desk at any gaming location participating in Winner’s Circle Rewards. Online access to the Win/Loss Summary and Account Information Request form will also end effective September 30, 2018. Members can continue to request a Win/Loss Summary by submitting a Freedom of Information Request through OLG. Click here for details. Please contact the OLG Support Centre at 1-800-387-0098 if you have any questions. © 2019 Ontario Lottery & Gaming Corporation (OLG). Must be 19 years of age or older. For Winner's Circle Rewards members only. OLG will not be responsible for communications which contain incorrect or inaccurate information due to human or technical error or which are delayed or misdirected due to any incorrect or inaccurate capture of customer information, technical malfunctions, human or technical error, visual or printing errors, or garbled data or transmissions, omission, interruption, deletion, defect or failures of any telephone, computer line or network, computer equipment, software or any combination thereof. This communication is for informational purposes only. To the extent that there are any inconsistencies, inaccuracies, errors or omissions in this communication and the information available at a local OLG Slots or Casino facility, the latter shall prevail. In order to ensure that you have the most up-to-date information regarding the contents of this communication, please visit your local OLG Slots or Casino facility.